Run the self-extracting archive, jet6530.exe, by double clicking it. Follow the on screen instructions. Note: JET 6530 now automatically includes your licence details in the JET6530Key.jlk file in the "applet" sub-directory. It includes a licence key that expires. Platypus Partners will make new licence details available upon renewal of your Annual Licence Fee. Select Start -> Programs -> JET 6530 -> Launch JET 6530. Your default browser will start and open the page that loads the JET 6530 applet. Note: JET 6530 now automatically includes your licence details in the JET6530Key.jlk file in the "applet" sub-directory. It includes a licence key that expires. 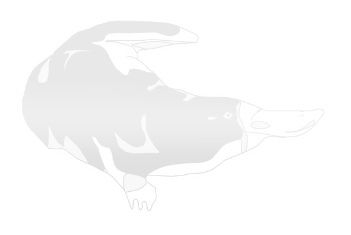 Platypus Partners will make new licence details available upon renewal of your Annual Licence Fee. Using your JavaTM enabled browser open the Shortcut.htm file in the applet directory. This page loads the JET 6530 applet. Download one of the JET 6530 archives to your workstation. Expand the archive into a temporary directory on your workstation. Examine the "Readme.txt" file for a description and complete listing of the files in the distribution. Check all files are present and have the correct size. Examine the "Release Notes.txt" file for information on this version of JET 6530. Examine the file Shortcut.htm for a sample web page which will load the JET6530 applet. Transfer Shortcut.htm in text or ascii mode to your web server. Create a new web page and insert the required HTML to load the applet. Edit an existing web page and insert the required HTML within the page. Restart your machine. Some browsers store loaded applets in their memory and automatically use the stored versions even if you click on Reload or clear the disk or memory cache. Using your JavaTM enabled browser, specify the URL of the web page which loads the JET 6530 applet. Examine the file Shortcut.htm using your favourite text editor for a sample web page which will load the JET 6530 applet. Use the sample Shortcut.htm file. Restart your browser. Some browsers store loaded applets in their memory and automatically use the stored versions even if you click on Reload or clear the disk or memory cache.